ArcticCross: ArcticCross #4 coming up! 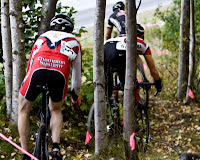 ArcticCross #4 is scheduled for Saturday, September 20 at high noon at APU. Please park at the Mosely Sports Center and follow the trail down to the soccer field to the start of the race. A map to the race is available. This is a great venue, and we have hosted races here before. Don't miss it!